Most accurate cutting jig for converting .223 / 5.56 brass into 300 Blackout or Whisper. and others with similar case length. Affordable and precision products is what Squirrel Daddy Inc. is known for and this is one of our many quality products with a price that is unbeatable. For a .223/5.56 cartridge to be accurately cut off and have the neck perfectly plum to the cartridge bottom, precise alignment is required. 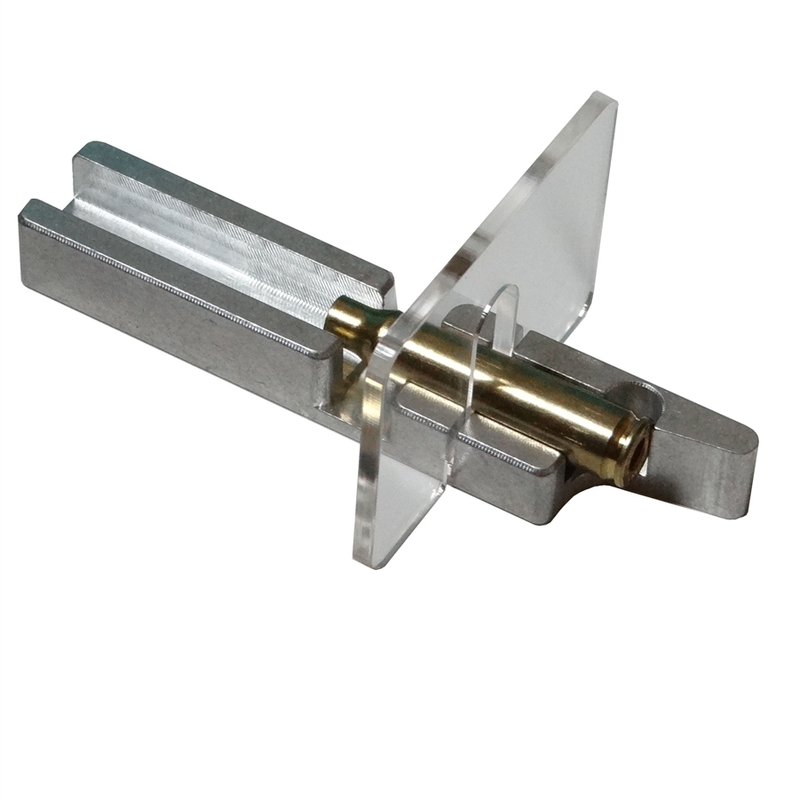 This can only be achieved with our design because the fixture is cut to fit the actual taper of the cartridge. Additionally, our case length will be exact each and every time you cut. 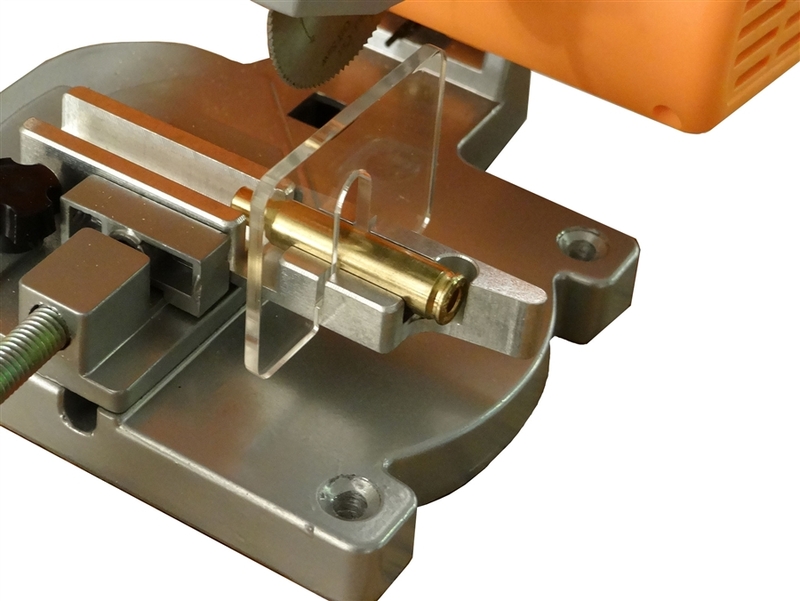 Since precise cuts require a tapered bed for cartridge alignment the case cannot be pushed forward after its cut. You just lift the back end of the cut case up and toss it in a can and grab another, place it into the fixture, apply a little backward force so the case bottom rests on the stop for precise case length registration. Deluxe model includes a removable high impact plastic guard.